Behold a magical world of romance and heartbreak, inspired by ancient legends and love stories. Marc-André Dalbavie continues in that same French tradition of saturated colors tinged with historic resonance. There may not be a story attached to it, but Mozart’s Symphony No. 40 — an epic creation in the stormy key of G minor — is as dramatic as any tale ever told on a stage. 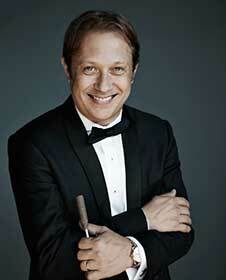 Principal Flute Demarre McGill’s position is generously supported by David J. and Shelley Hovind. 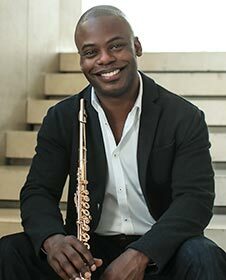 Demarre McGill’s performances are generously underwritten by John Delo and Elizabeth Stokes through the Seattle Symphony’s Principal Musicians Circle. Thursday performance sponsored by Foster Pepper. 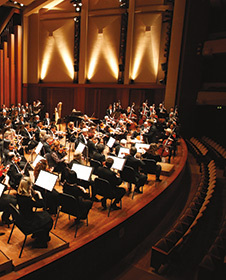 The world premiere of Joël-François Durand’s Tropes de : Bussy is presented as part of the Seattle Symphony’s New Music WORKS initiative, which is supported in part by a grant from the National Endowment for the Arts. New Music WORKS features commissions, concerts and educational activities that use composition as a catalyst for collaboration and engagement in music.